Fully Customized Advertising Revenue “INSTANT ACCRUALS” and “INSTANT WITHDRAWALS”! This is an email that was recently sent out by Michael Colucci (incomeclub/sofstor). Looks like another ponzi using training as the "product" to cover up the true ponzi this is. I have been waiting months for this program to launch. You will not find a better opportunity and we will be doing massive building in this program. This is something that you will want to join. Members that join during the first 48 hours are Founder Members and receive 2% sharing bonus pool for life. You need to be on my Early Notification List to become a Founder Member. The Founder Member cost is $150. This is only $15 more than the standard members will be paying. The cost to join IPES 180 is $135. Credit Cards and Debit Cards will be accepted. A serial player and spreader of Ponzis and pyramids. Why does it seem that a major number of scammers in the US come from Florida or Utah? You aren't imagining that. Boca Raton in Florida used to be known as the spam capital of the world, and Utah is so scam-infested that the SEC branch there is dedicated to just the state's own schemes and frauds. I have heard a theory that the Mormons are more susceptible to pyramid schemes thanks to a cultural reverence for geneaology, but do not know whether or not that has a grain of truth in it. With friends like Stepsys, who needs enemies? 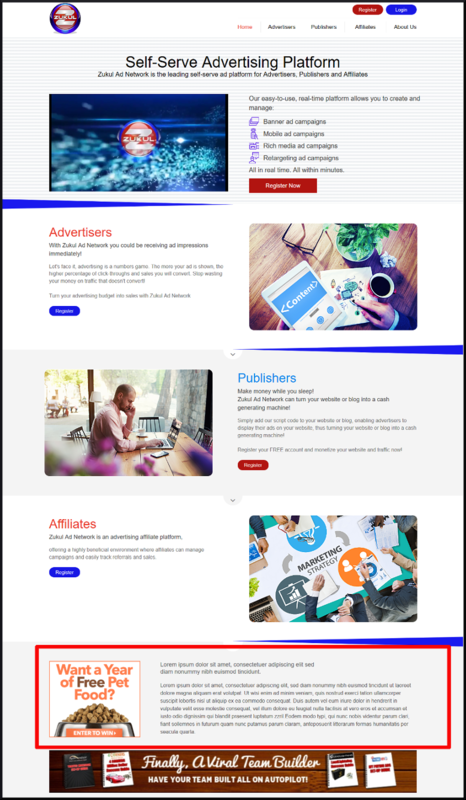 AdMediaProfits 158% A New Style Of Advertising Revenue! A Multi Combination Of 3 Successful Top Programs "AdBrooks,HQ Revshare & RevAdBurst"
** HQRevenueShare,AdBrooks & RevAdBurst Style Of Payplan,Script Design All Integrated Together! You Earn up to 158% Revenue Sharing On a Fixed Daily ROI up to 4.75% Daily! ** You Earn Instant Accruals Every Second/You Purchase Ad Packs In Any Levels/Accruals To Wallet Instantly On Surfing! X 1.001 % 50 Packs! X 1.0551 % 250 Packs! X 1.10251 % 500 Packs! X 1.20501 % 1000 Packs! X 1.351001 % 5000 Packs! X 1.503001 % 5000 + AdPacks And MORE! You Can Withdraw Instantly Once It Is In Your Cash Wallet! 5% Cash Out / 25% Repurchase On Your Withdrawals! Payza, STP, Payeer, Bitcoin & Perfect Money Accepted! Traffic Authority is doing very well. I have earned over $4000 in affiliate commissions since I joined. But that is not what excites me about this program. The secret to earning online is List Building. Every week I email the members on my list new opportunities that I have joined. With Traffic Authority your List is built for you on autopilot. These are quality leads that are added to your list. These people have been joining the opportunities that I have been sharing with them. You do not even need to worry about writing the emails. You can copy the emails that I send you and send it to the people on your list. All you need to change is your referral link. Now you can build your list on auto pilot and use my emails to earn those referral commissions. I don't understand how pimps like this crook and other like Ken Russo get away with this. The authorities really need to go after these guys and maybe that will help to curb the amount of unsuspecting sheep that join the ponzis they pimp! New Innovative 100% Custom PTC/Revenue Share Project! As a Silver Member Earn Upto 117% - $4.99 Per Package! As a Golden Member Earn Upto 125% - $9.99 Per Package! As a Diamond Member Earn Upto 137% - $19.99 Per Package! ** Silver Package Completes Cycles in 15 Days! ** Golden Package Completes Cycles in 32 Days! ** Diamond Package Completes Cycles in 70 Days! Free Membership Earn $0.01 Per Click 30 Seconds Preview! Professional Membership Earn $0.02 Per Click 10 Seconds Preview! Ultimate Membership Earn $0.04 Per Click 10 Seconds Preview! Credit Cards - STP - Payza will be accepted. "I would like to be added to the Income Club Skype List"
I will then add you to my skype list to send you new program announcements. The big excitement this week is the launch of Click Intensity. This is a huge revenue share program with more than 40,000 people creating accounts. It has been a very long time since I have seen this many people joining a program like this during the pre-launch. The program is scheduled to launch on Wednesday. The ad packs cost $25 and you earn every 30 minutes until you earn back $30. Unlike other revenue share programs there are no daily earning caps. You earn on each day based on the deposits for that day. The earnings will most likely be faster than in most other revenue share programs. Free members can earn here too. You can earn by performing simple tasks each day without purchasing any ad packs. I would not expect the free members to earn anywhere near what the paid members will be earning. But no matter who you are you will be earning in this program. I expect a successful launch on Wednesday. Premier Income Plan is my Top Opportunity. This is a Top Earning Program where members in our team will be earning a 4-5 digit monthly income. This is not speculation. This is reality. The earnings in this program will exceed anything that I have joined in the past 20 years. This is why Premier Income Plan is my Top Opportunity and I will be working with everyone to get them to succeed. We have found a service that will Guarantee everyone 3 paid referrals. You heard me correctly. This is a Private Service that will be Guaranteeing your referrals. They have a full time Call Center that will be assigning 7 experienced Marketers to get you signups. They have a list of prospects that want to join a Business Opportunity and they will be calling them on the phone closing the sales for you and getting them to signup as paid members. Everyone subscribing to the service will be granted 3 referrals. This is a Guarantee. This is very exciting for our team. Each member will have 3 referrals. Each of their 3 referrals will subscribe to the service to get 3 referrals. Their referrals will subscribe to the service to get 3 referrals. This will continue to Infinity. Within months you may find yourself with a completely filled 3x8 matrix. Your commissions on a full matrix is $32,000 per month. Plus with 3 referrals you earn 100% matching bonuses. You will earn as a monthly bonus what they earn for the month. Just imagine the earnings when they have a full matrix. Now you are earning an additional $32,000 per month for each of your referrals. That is more than $100,000 per month in commissions. You have just become a Millionaire! These are not fabricated numbers. This is a reality. Now you can see why Premier Income Plan is my Top Opportunity. 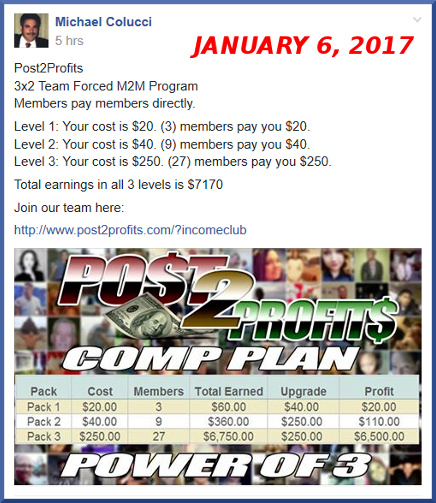 The cost for joining is $79 for the first month and $59 for each additional month. That is all for this week. Please look for my next End of Week Update. Click Intensity - New Revenue Share program in pre-launch. You earn multiple ways in this program. What makes this program unique is that this is a lot more than just revenue share. You earn daily by performing simple tasks. Everyone earns including free members. Infinii - MLM Program where you earn by listing products for sale on Amazon, eBay, Google and other places. Infinii is different than any other MLM program. Your monthly product purchase earns you income every month. Infinii has 3 membership levels. Each level includes training on how you can list products for sale on Amazon, eBay, Google and other places. You do not need to be concerned in finding these products. Infinii will stock these products in the own warehouse. They have researched the best selling products on these selling platforms. You earn without referring anyone. There are 3 membership levels in Infinii. Each membership includes its own training and allows you to purchase a limited number of products from Infinii. When you purchase these products you can sell them yourself or have Infinii sell them for you. - Your can purchase up to 15 products per month. - Training to sell these products yourself or have Infinii sell them for you. - Includes 50 Personal BV in the Business Opportunity. - Your can purchase up to 30 products per month. - Put your business on auto-pilot. - Sell on 5 different platforms (including your own e-store). - Includes all of the benefits received in Prime. - Includes 150 Personal BV in the Business Opportunity. - Your can purchase up to 60 products per month. - Earn up to 400% profit per sale. - Exploit Amazon's FBA System - Fulfillment by Amazon. - Includes all of the benefits in Prime and Surge. - Includes 400 Personal BV in the Business Opportunity. 1. Fast Start Bonus – 15% of the value of the product package of your newly enrolled partner (Up to $60 one time ). 3. Accelerated Dual Team Bonus – Earn Up To $40,000 every week. 4. Infinity Pay – Earn 5% of the total BV for every partner in each of your personally sponsored lines of lineage. You earn up to $200,000 per month from each personally sponsored member. 5. Elevation Rank Bonus – Every rank you advance, you get additional bonuses paid out to you. 6. Global Bonus – Earn Up To 4% of the company Gross Earnings when you are Director or above. The 4% will be split among other director or above ranks. Visit the Infinii Presentation for complete details on earning in Infinii as a customer and in the Business Opportunity. GRMClix - New revenue share site created by Maria Nadal. There are multiple ways to earn in this program. There is a $4 required membership fee. You start in GRM 1. Ad packs cost $5 each. You may then purchase ad packs into the higher levels for faster earnings. In addition to Revenue Share you can earn by clicking ads in the PTC. 45 days after the launch a Trading Platform and Online Gaming will be added to the program. Payza - Perfect Money - Payeer - STP - Bitcon is accepted. KDK Trade Charity Club is a new program where members send payments to other members. Your out-of-pocket cost is only $20. 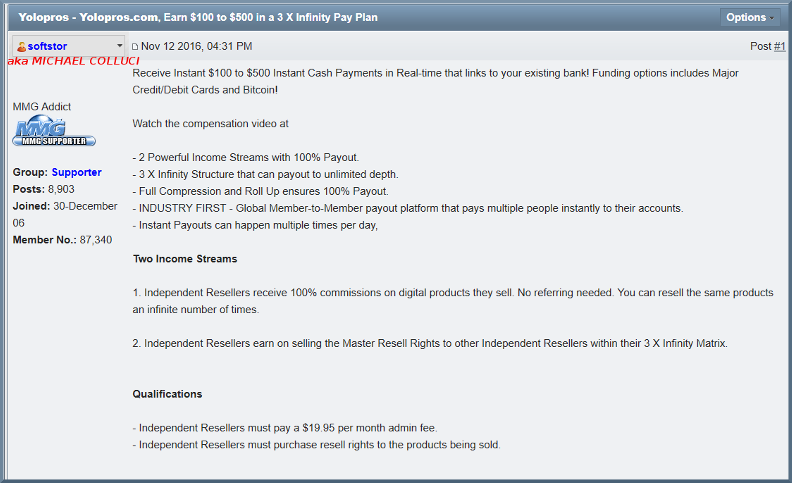 You leverage your earnings into 10 levels with other members sending you $20 to $1670 payments. This is a Huge Opportunity for only $20! The opportunity is a Peer-to-Peer Donation System. Over 30 crypto currencies will be accepted. Other Payment gateways will be accepted (Perfect Money, Skrill, Paypal, Payza, Neteller, STP). You receive donations directly from other members. There are 10 levels in each Plan. Each Stage must be upgraded once three people send their donation to you. This keeps the program from ever stalling. This is a forced Team Build. The earnings are from a 5x10 Team Forced Matrix. Each level in the matrix is called a Stage. Everyone starts in Stage 1 for $20. After you receive 3 payments from a Stage you are required to purchase a position into the next Stage. This requirement keeps the program from ever stalling. Stage 1 costs $20 and you earn (5) $20 payments. Stage 2 costs $40 and you earn (25) $40 payments. Stage 3 costs $80 and you earn (125) $80 payments. Stage 4 costs $120 and you earn (625) $120 payments. Stage 5 costs $200 and you earn (3125) $200 payments. Stage 6 costs $300 and you earn (15,625) $300 payments. Stage 7 costs $400 and you earn (78,125) $400 payments. Stage 8 costs $800 and you earn (390,625) $800 payments. Stage 9 costs $1170 and you earn (1,953,125) $1170 payments. Stage 10 costs $1670 and you earn (9,765,625) $1670 payments. Your out-of-pocket cost is only $20. You leverage your earnings into upper stages. Magic 10 - New MLM program that includes a Crystalline Nano Silver Product. Your startup cost is only $20 and there are no autoship requirements. The product is Crystalline Nano Silver. This product will kill bacteria in your body. It is 50 PPM and is the best silver product on the market. This concept of silver is catching on and people everyone are taking silver daily. The matching bonuses are earned on anyone that falls into your matrix. These matching bonuses will be huge! The cost to join as a distributor is only $20. You receive your first bottle of the Crystalline Nano Silver product. There are no autoship requirements. Your total out-of-pocket cost is $20 ($25 for international members). Premier Income Plan - 3x8 Matrix program with a monthly membership. You receive many video related products with your paid membership. A complete matrix earns $32,000 per month. Your matrix is filled by spillovers from your upline and spillunders from other people in your matrix. Watch the following presentation for complete details. Ten Dollar Shop - M2M Program where members send you $10 from other members. You send $10 to your sponsor. You send $10 to your sponsors sponsor. This will generate multiple payments coming your way 2 levels deep. Traffic Authority - Networking Marketing Opportunity that builds a list on autopilot. 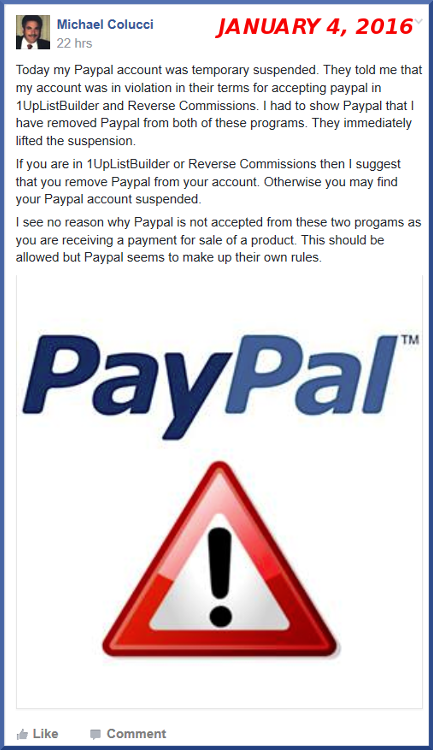 I earn commissions weekly and receive new leads added to my list daily. As a Network Marketing Opportunity you earn between a 50% to 80% commission on every sale. Your membership includes top Sales Funnels that do all the work for you. All you need to do is to place ads and different sites and the Sales Funnels do the work. Traffic Authority has two membership packages that cost $47 per month or $144 per month. With the $47 package you earn commissions on each member in your downline that purchases this package. With the $144 package you earn commissions on each member in your downline that purchases the $47 or $144 package. You earn these commissions two levels deep. You do not need to promote anything to earn in Traffic Authority. You can purchase targeted traffic. This traffic is 98% from the US and 2% from Canada. All of these people are carefully screened and have an interest in joining an Online Income Opportunity. You can have these visitors sent to your Traffic Authority Sales Funnel and they will automatically be added to your List. You can email these members on your list. You are now earning referral commissions in the different programs that you have been joining. You earn two ways with Traffic Authority. You earn commissions from your downline. You are building a List on Autopilot and earn referral commissions in other programs that you have been joining. 10 Dollar System Rotator - Team Build for the 10 Dollar Shop. You receive $10 payments directly from other members. The Company Rotator is used for the Team Build. Everyone joining receives a position in the rotator. Your position never expires in the rotator. PLR Rotator - Team Build for The PLR System. - Pack 1 costs $25. - Pack 2 costs $50. - Pack 3 costs $100. The only additional fee is a $10 per month admin fee. This fee must be paid first. Each member that joins our Team Build joins through the PLR Rotator. You will automatically be assigned to the next member in the Rotator. You will signup under the selected member. - Purchase Pack 1 and receive 1 position in the Rotator. - Purchase Packs 1-2 and receive 5 positions in the Rotator. - Purchase Packs 1-3 and receive 15 positions in the Rotator. The Rotator allows you to receive an unlimited number of signups and your positions are never removed from the Rotator. I'll tell you what, modern day ponzi pimps and owners are a lazy bunch of slugs. Can't even be bothered to disguise the fact they are using a pre made template. Who wants to copy another person's sales spiel and churn out pre written garbage. That is not very intelligent sales or marketing strategy is it? "Here we go 'round the mulberry bush, the mulberry bush, the mulberry bush"
Yep, he's back with yet another guaranteed to fail, cheap and nasty ponzi scheme, just in time for Christmas. Last edited by littleroundman; 11-16-2016 at 07:16 PM. What is it, LRM? There's no image. Hmmn, don't know where it went. 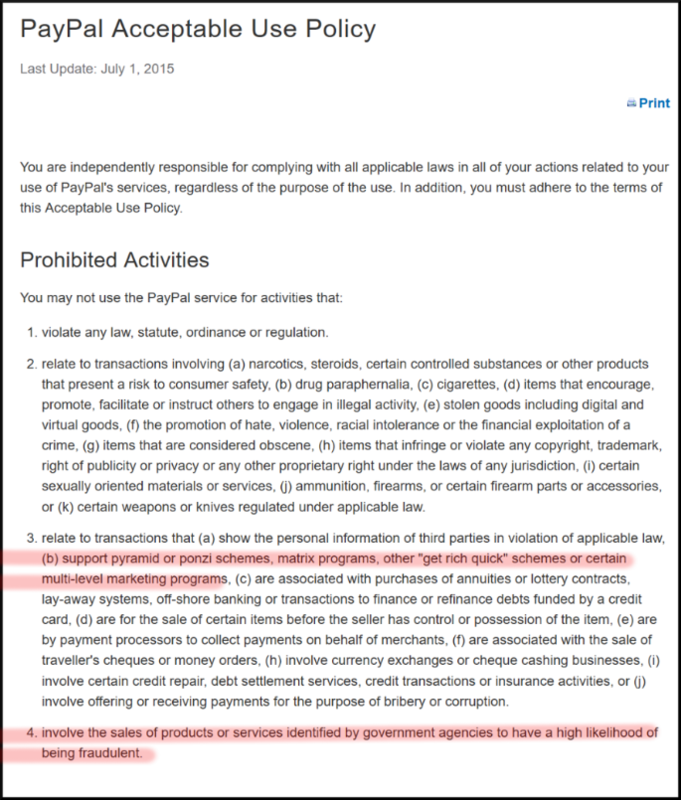 Rather than face the fact he's been busted, like the true serial ponzi pimp he is, Colucci blames Paypal. Another day and yet another guaranteed-to-fail disguised cash gifting scheme from Michael Colucci. Anyone who has been following Coluccis' recommendations must be facing bankruptcy by now. The guy couldn't pick the winner in a one horse race. Well, you were warned, Mikey. No point acting all surprised and hurt now. Here, let me help you out, Mikey.